FEAR OF THE FACTS is a presentation that speaks of Jane's artist in residence experience at the psychiatric hospital in Genoa, Italy. It is significantly inspired by Freud’s sociocultural Totem and Taboo paper but from the perspective of a female artist in the 21st century. 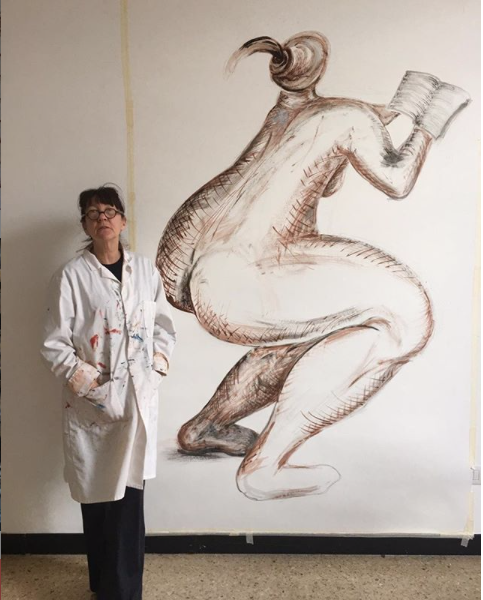 Jane’s presentation will be illustrated by her art works which will be on exhibition at the Palazzo Ducale, Genoa (12 Sep - 13 Oct 2019) and at the Museum of Unconscious Materials and Forms in Genoa 10 Sep - 31 Oct 2019). Jane McAdam Freud, Sigmund’s great granddaughter, is a world renowned artist, sculptor and a vivacious, charming, and intelligent woman. She has published several papers on her artworks which focuses on 'origins' in the personal and universal sense, and are informed by psychoanalytic theory. Jane has presented at numerous psychoanalytic conferences and Art Institutes on the relationship between psychoanalysis and art. We are indeed fortunate that Jane has made the Training Institute in New York City a second, or rather third, home. Jane pursues her creative life in her London studios as well as her historic townhouse on the Sigmund Freud Square in Pribor, The Czech Republic. Jane has taught courses at the Royal College of Art, London, the University of the Arts London, and the Academy of Fine Art in Antwerp. Jane McAdam Freud is represented by the Mayfair Gallery, Gazelli Art House, in London. Photograph: Jane McAdam Freud during her residency in Genova, 2018. All TI students, faculty and Psychoanalytic Society members are free including CE Credit.